The Gaia-Now Transformational Healing and Personal Development Modality uses a new revolutionary healing model which is based upon the concept of seven aspects of our being or consciousness, as well as the understanding that consciousness is not formed out of our physical brain. The brain is the central processor of our physical body, not the seat of our consciousness. •	Our underlying thought patterns and beliefs (core way of being) are creating/orchestrating our life experience right now. •	Everything begins and ends with a thought. •	Our general state of health and wellbeing is a direct reflection of our underlying thought patterns and beliefs (core way of being) that are formed and arising within aspects of our consciousness. The cells within our body contain our suppressed thoughts, judgments, fears and our insecurities making us personally responsible for creating our own core way of being, which is the underlying driving force of our pain and suffering. Gaia-Now works by transforming and healing people's aspects of consciousness to directly affect their core way of being. This sets them free from their own self disempowering thought patterns and beliefs by transforming the whole being into a self empowering way of being, so that inner harmony, health and happiness can be reinstated. The life force healing aspect of the modality which is taught in the first stage of the learning process, the Introductory Workshop, primarily tackles the symptoms of pain and suffering that are arising to reflect our current core way of being. 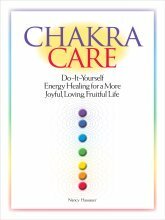 It creates the necessary balance within the physical body through adjusting the matrix of consciousness which is commonly known as the aura and chakras - but this is just a part of the healing equation. Life force healing is useful in many situations but if we wish to create a lasting transformational change then we need to reach beyond or behind the symptoms of consciousness and tackle the underlying cause of our pain and suffering – we do this by working within consciousness to heal the underlying inner divisional conflicts and transform them into wholeness. The transformational healing aspect of the modality is taught in the second stage of the learning process, which is the Practitioner Course. It is utilised to create the inner harmony and wholeness within and between the aspects of consciousness that is required for healing to manifest into all aspects of being. Transformational healing reprograms the self imposed underlying divisional and disempowering thought patterns and beliefs that are creating the disharmony and dis-ease, into self empowering and self acceptance, which creates the wholeness which is what healing is. The Personal Development aspect of the modality guides healees into self realisation and personal responsibility. This teaches healees how to create inner wholeness in place of inner division and conflict. It empowers them to become consciously aware that they are the driving force within their own unique life experience as it unfolds in the Now; that they always have a choice which they need to take personal responsibility for, as well as how to instigate and maintain personal integrity and inner harmony for themselves. Applying all three aspects of the modality in a mindful and responsible manner completes the equation and creates a complete healing solution, which is the essence of Gaia-Now healing in a nutshell. All the best in this work, Paul. The modality was formed out of my own personal healing journey that took many years, in which I was using my own way of healing to help self and others to heal. Since I put the attunement together to empower others to be able to learn to heal in this way, I then had to define what I did quite naturally and put it in such away that others could also learn to work in a conscious way, this has taken me about 10 years to develop a teaching program which is currently taught hands on in the UK. I am in the final stages of compiling it into our online academy, so that it can be learnt online through the interactive classes and videos, as well as utilising live video conferencing for healing, mentoring and assessments, though it will only be available in English for the time being until we get other people who can tutor and mentor in different languages to open it up further. Is this taught in other places than the UK? Thank you for such a thorough explanation of your kind of energy healing, Paul. It has many areas of overlap with what I believe and practice. Is Gaia Now taught other places than the UK? Where did it develop? Reconnective Healing is a new, non-touch, more comprehensive spectrum of healing than has been attainable before. It not only includes but expands beyond any and all known forms of "energy" healing. The Reonnective Healing spectrum is comprised of a full healing and evolutionary continuum of energy, light and information. It allows for healings that are not just physical, not just mental, not just emotional…yet go beyond that to bring you healing that includes the evolution of your very being and essence." It sounds like Polarity Therapy or other energy work. What makes it different? When a building appears to be causing ill health or 'non wellness' in people, most common conclusion is that the building may be subject to geopathic stress. However there are in fact at least three distinct areas to be addressed in house clearing work and for satisfactory results we must attend to them all. One of the problem areas we investigate when dealing with 'sickness of place' is indeed the debilitating effects related to geological anomalies and underground water courses in or about buildings. The other two categories however, relate to strong emotional imprints in a place, and what can loosely be called 'spirit' presence. When working in houses we search for all three of these factors and build up an overall picture by taking them together. Difficulties in dwellings are seldom straightforward. They tend more often to derive from various combinations of influence rather than neatly fitting into one category or another. Moreover, there is usually a natural sequence by which we should proceed. For instance, it is strongly recommended in situations where 'spirit presence' is encountered, that this aspect be attended to first, before moving on to apply any corrective measures indicated for geopathic stress anomalies found. Absolutely the best energy healing. Japanese art taught all over the world and centralized out of Scottsdale Arizona. It absolutely works! 26 safety energy locks which you can learn to heal yourself. Sacred Healing Light is a three part system which includes breathwork and visualization. Created by MicHEAL Teal / The Ancient One it uses the energy of the healer, the person being healed and the Universe. It involves releasing positive energy from within the person being healed, taking energy from the healer and transferring it to the individual and channeling energy from the Universe. It is a spirit based healing gifted to The Ancient One by his guides, angels and ancestors.